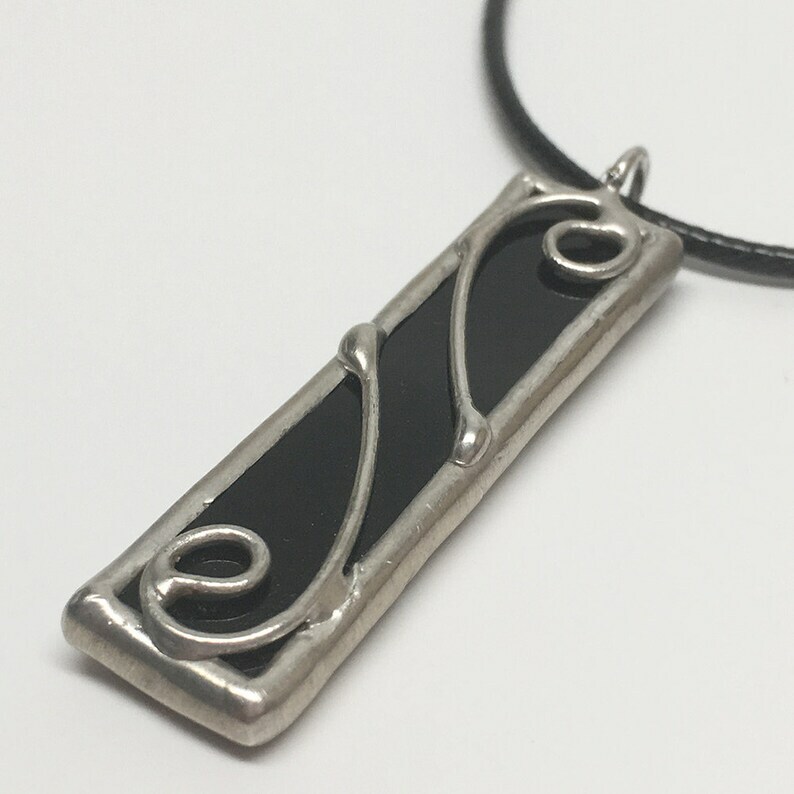 A opaque, glossy black stained glass pendant edged in silver, accented with silver wire spirals. A free 16"-18" adjustable soft black faux leather cord with clasp is available at no additional cost. Actual Size: 2 1/8" x 7/16"